What Does the Ink Preferred Offer? What Does the Ink Cash Offer? What Does the Ink Unlimited Offer? 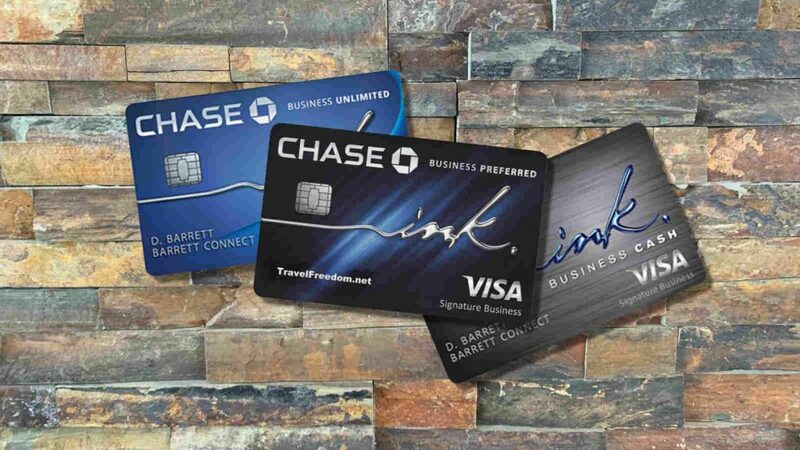 Which of the Chase Ink Cards is Best For You? First off, I’ve got a few questions for you… Do you have a business? Ok, do you have a good credit score? Now, our last question… do you enjoy saving money? FANTASTIC! I’m going to take a guess, and say that you’ll like what the Chase Ink cards have to offer. There are three Chase Ink cards offered. Two no annual fee credit cards and one premium card with a small annual fee. The three Chase Ink cards are the Ink Business Preferred, Ink Business Cash, and the Ink Business Unlimited. They all are built with business owners in mind. Each of the cards has it’s own distinct features and benefits. They’re all great credit cards to have for your business, whether it’s big or small, seasoned or just launching. One of the best parts about the Chase Ink cards is that they all offer excellent introductory offers. After meeting the minimum spend, each of the Chase Ink cards offers enough Chase Ultimate Rewards to really make a difference. While two of the cards are advertised as “cash back” cards, they actually earn the same Ultimate Rewards points that have the potential to be used for things like travel. Let’s get to it and take a look at the Chase Ink cards. 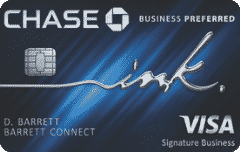 The Chase Ink Business Preferred card is the premier business card of the Chase portfolio. It’s the only card of the three that has an annual fee but also comes with a better introductory offer. 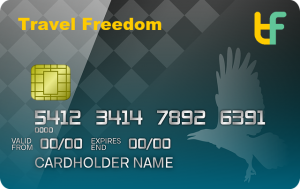 In fact, the cards introductory offer is considered by us at Travel Freedom, to be the best of any credit card offered by all banks. Along with the large introductory offer, the Ink Preferred comes with some nice rewards. The card earns 3X points on an assortment of useful categories. It’s one of the only cards that offer reward points for online advertising purchases. It also comes with purchase and travel protections that can save you a lot of money in certain circumstances. Let’s take a closer look at the features of the Chase Ink Preferred. The Chase Ink Cash is a no-fee business card that still has a high introductory offer. It’s rare to see a card with an introductory offer that can be worth up to $1000 or more to not have an annual fee. The Ink Business Cash a great card that you can hold onto forever without having to pay fees. It’s also great for earning rewards. It has some of the most generous rewards categories as well. With the Ink Business Cash, you will earn 5% on purchases made on internet service, phone, and cable as well as purchases from office supply stores. On top of those 5% categories, the card also earns 2% on gas and dining. Both the 5% and 2% categories have caps on earning, but it’s high at $25k for each of the two groups. The Ink Business Cash is the first business card I ever applied for. I got it because it has a good introductory offer, it’s good for earning rewards, and it has no annual fee. Also, if you have a primary Chase Ultimate Rewards credit card (Sapphire Preferred, Sapphire Reserve, or Ink Preferred), you are able to transfer your points to those card accounts for more valuable redemptions. This makes the Chase credit cards work well together to earn better travel rewards. Like the Ink Cash card, the Ink Business Unlimited has a high introductory offer. It also does not have an annual fee associated with it. These two cards are some of the best introductory offers without having to pay an annual fee. Where it differs from the Ink Cash is how it earns rewards. The Chase Ink Business Unlimited is all about simplicity. It earns 1.5% back on all purchases with no limit. This card is great if you won’t be able to take advantage of the 5% categories from the Ink Cash card because you’ll get 1.5% on everything no matter what it is. Chase Ultimate Rewards are arguably the most valuable reward points of them all. We value Ultimate Rewards at 2.0 cents per point. Why does Travel Freedom value them higher than Chase does? Well, their valuations come from using the Chase travel portal, which gives a straight up value of 1.0, 1.25, or 1.5 cents per point depending on the card account you redeem your points on. For instance, the Ink Preferred card or the Sapphire Preferred card allow you to redeem points in the travel portal for 1.25 cents per point. 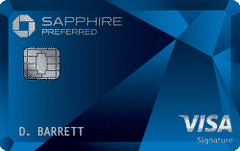 The Sapphire Reserve, the most premium card that Chase offers, allows for redemptions of 1.5 cents per point in the travel portal. Every other Chase Ultimate Rewards card has a redemption rate of just 1.0 cents per point through the travel portal. That doesn’t mean it’s the best you can do, because you’re able to transfer Chase Ultimate Rewards between accounts. So, if you have a Ink Cash and a Sapphire Reserve, you can earn points with the Ink Cash and transfer them over to your Sapphire Reserve account to either get a better redemption in the travel portal, or have access to Chase travel transfer partners. We like to take into consideration that it’s possible to redeem your Chase Ultimate Rewards for much higher values by converting your points to hotel or airlines through the Chase transfer partners. There are 9 airline partners and 4 hotel partners that you can transfer your points to at a 1:1 ratio. This allows you to take advantage of good rewards rates with certain programs to get a value of 2.0 cents per point or more. The transfer partners are also only available to Sapphire Preferred, Sapphire Reserve, and Ink Preferred card accounts. See our full review of the Ink Business Cash. See our full review of the Ink Business Unlimited. Each of the Chase Ink Business cards is a good choice. They all have slightly different offerings that may suit your needs better. If you’re looking for the most points right off the bat, you’ll want the Chase Ink Preferred. If you purchase a lot at office supply stores, the Ink Cash will be best. But, if you’re just looking for simplicity in your rewards, the Ink Unlimited might be just right. Whatever it is that you’re looking for in a small business credit card, the Chase Ink Business portfolio has you covered. It might even make sense to have two or all of the cards to cover your different types of purchases, plus earn a bunch of Ultimate Rewards through the introductory offers.